Sakura Watch, March 16, 2018 - we see snow and buds as winter won't yet give up its grip. Sorry for the delay in posting this update, however, if you have been following me on Facebook, Twitter, Instagram or YouTube, you would have seen this video update posted a couple days ago. Currently, I am having some hosting issues that are preventing from displaying correctly and hope to have it resolved soon. In the meantime, watch my latest video update YouTube video update as shown above. 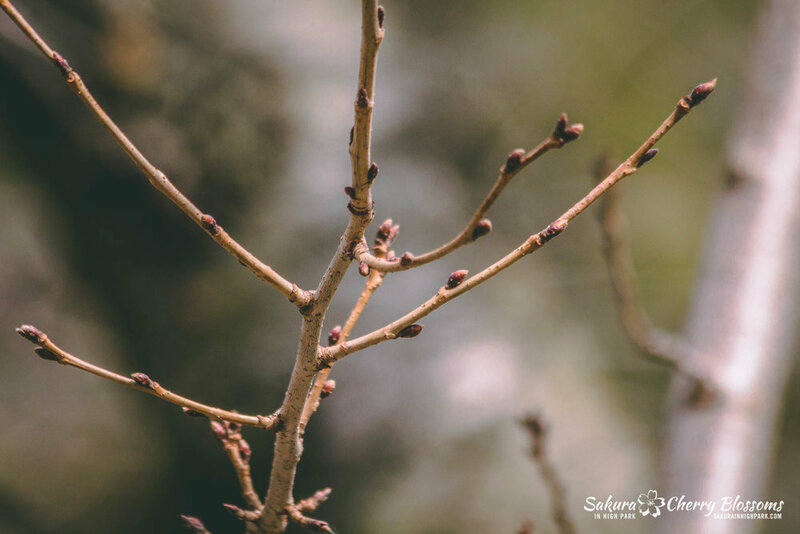 The colder weather seems to be in the forecast throughout March, which may slow down the buds from opening until much later in April. But the weather proves to be unpredictable so it will take more visits to see exactly when the next stages of bud development will start and help to predict blooming dates better. Thank you for visiting and watch for the next update soon!